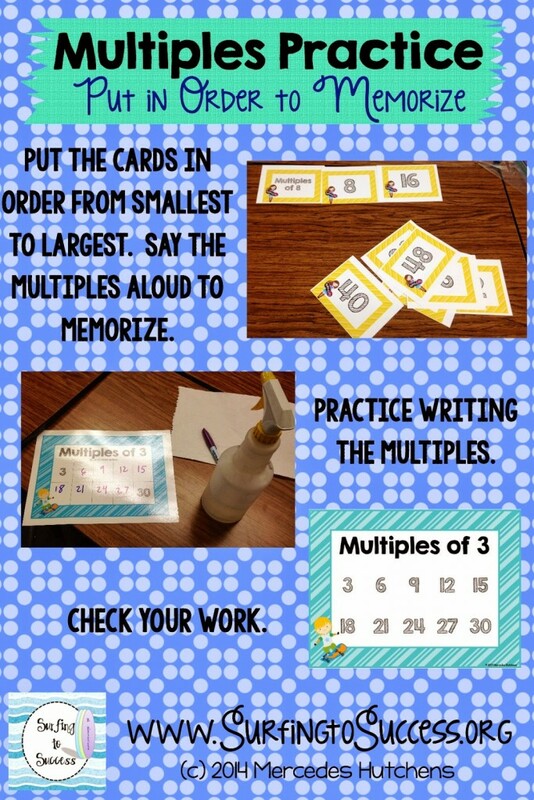 As students work to memorize their multiplication facts, I try provide many different opportunities for them to practice. The students set a goal. Once they know which facts they want to memorize, I give them the freedom to choose how they will accomplish their goal. Some students love using technology. I have a class website that links to games and videos that I think can help them. They love the website Multiplication.com I like that they can target a specific goal and practice the facts they need for that goal. 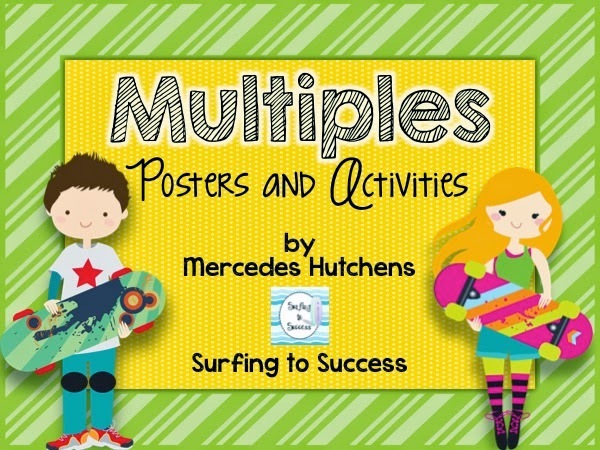 One way I encourage them to practice is by asking them which multiplication facts are easiest for them. Of course, the answer is usually 2s, 5s, and 10s. When I ask why, they tell me they know how to count by those numbers. 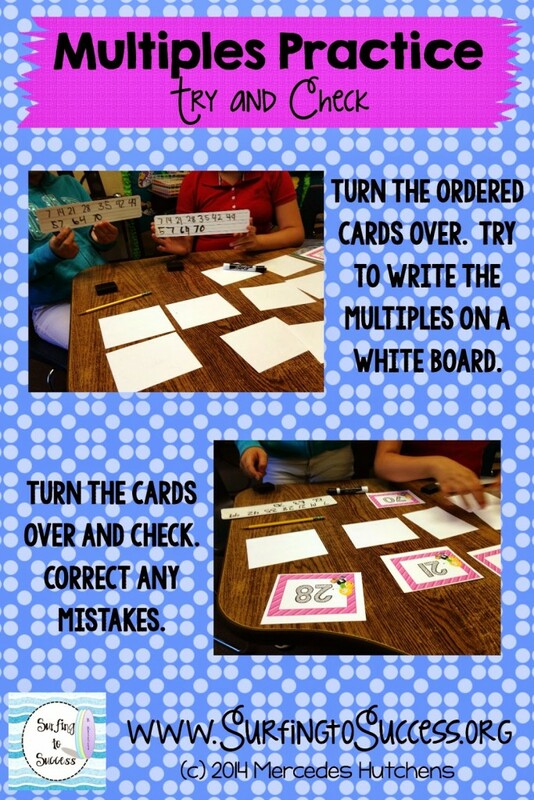 This year, as some students were trying to learn how to count by 8s, I decided to make somethings to help them. A pair of girls invented this game in class one day. They both needed to memorize their 7s. They worked together to put the cards in order. Then, they took turns reading the numbers. Once they thought they could do it, they turned the cards over. Then, they wrote what they thought were the multiples of 7 on their white boards. I took the picture as they showed me with pride (biting my tongue because I knew discovering mistakes was their job). They turned each number over one at a time. When they discovered their mistakes they fixed them. They repeated the process over again, paying special attention to the multiples that tricked them. They were so proud of themselves when they passed their 7s timed test later that day. 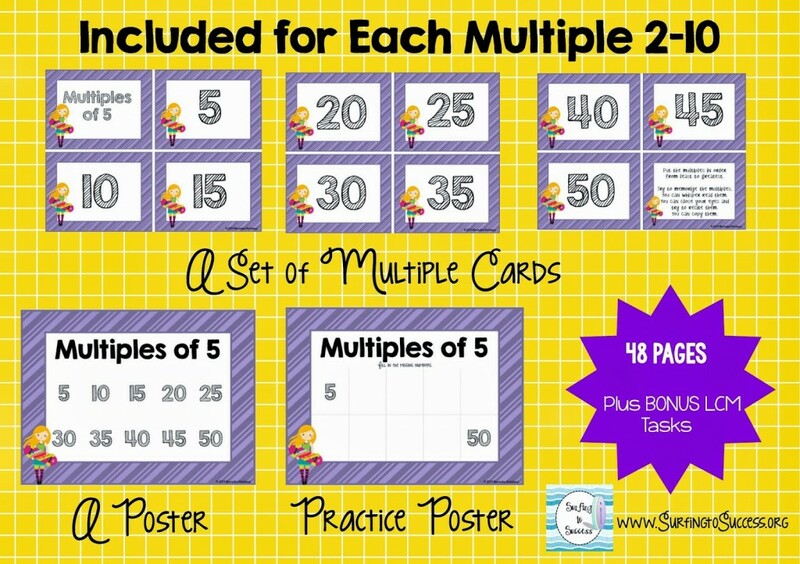 Each multiple is color coded for easy organization. Well, and because I’m obsessed with color coding. I cut my cards out the simple quick cut way at first. I found myself going back and cutting out the square later because I’m a bit obsessive like that. I didn’t laminate the cards. 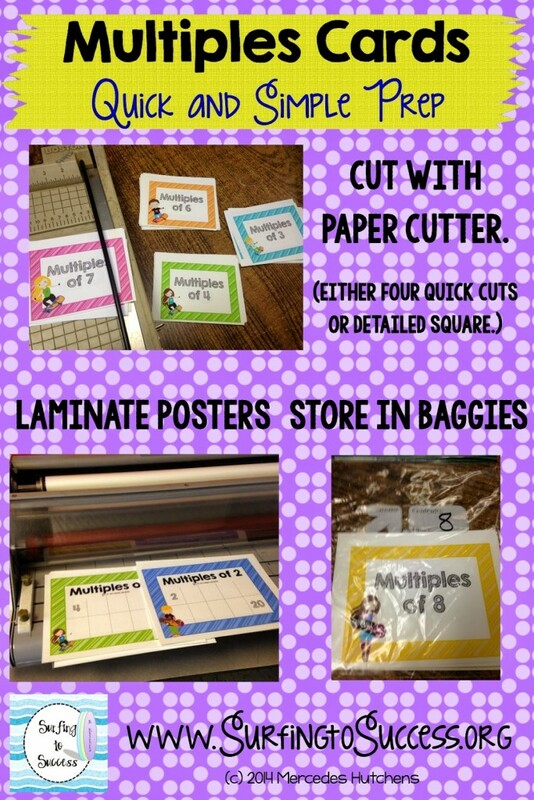 I try to be careful not to over laminate. I have a lot of games that I’ve printed on card stock and not laminated that have lasted for years. Giving myself permission to laminate less has saved me a lot of time. I started because I realized that every game I made for my class didn’t need to last forever in a landfill, but now its more for the time I’m saving. Click here to find this product on TPT.